PLANS to amalgamate CBS and St Mary’s Christian Brothers Grammar School have been scrapped after the St Mary’s Board of Governors on Monday night voted in favour of retaining academic selection. Proposals to merge the neighbouring Glen Road post-primaries were unveiled in May with a number of consultations held between parents, staff and trustees. However, oppostion to the plans were voiced by some parents and former pupils of CBS, with staff from CBS uncertain about their jobs should the merger have taken place. A source from CBS told the Andersonstown News that the school was now “looking forward to the future”. “The fact that St Mary’s have left the process now means that Christian Brothers School, described by the ETI as an ‘outstanding school’ in June, will continue to provide both academic and skills-based opportunities for all. “On January 7, 2015 at our Open Night all parents are invited to see at first hand why we remain the centre of excellence on the Glen Road. 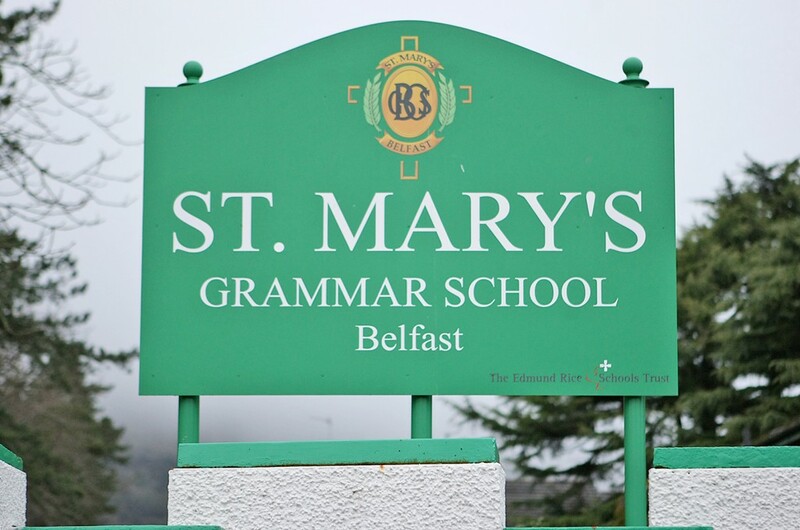 St Mary’s Principal John Martin said: “The Board of Governors believe that any change to our entrance criteria should be taken in the context of a general move away from academic selection by all of the Catholic grammar schools in Belfast. “There is a strong need for the parents in West Belfast to continue to have the option of an all-boys grammar school positioned within the heart of the local community. Ronan added: “We wanted to see the creation of an all-ability school. St Mary’s wanted to retain, at all costs it now seems, their grammar school status. “For St Mary’s it appears that it all came down to finance and retention of academic selection. This is a disgrace and not in the interest of this community.